Megapowerstar Ram Charan is a firm believer of god and visits famous temples across the country whenever he gets time between his movies. 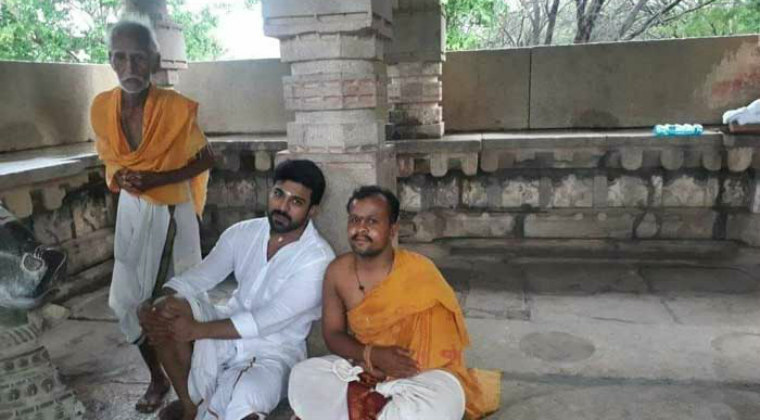 A picture of Ram Charan with temple priests is being widely shared in the social media. This picture happens to be from the Domakonda temple. Well, Ram Charan and his wife Upasana regularly visit Domakonda temple and offer special prayers. On this occasion, he posted with priests. Ram Charan is seen in white shirt and white pancha. Pawan Birthday: Who Wished & Who Didn’t?